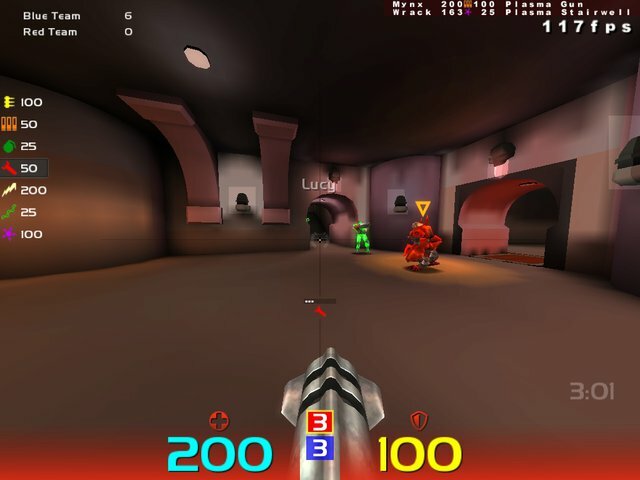 Description: Super minor update to previous HUD. Only changes were to fix the confusing error of having 11 ammo look like 0 ammo. Now it looks like you have between 11 and 19 (as it should). Also only made the ammo bar opaque when at zero, instead of between 0 and 10. Description: Update to previous HUD. 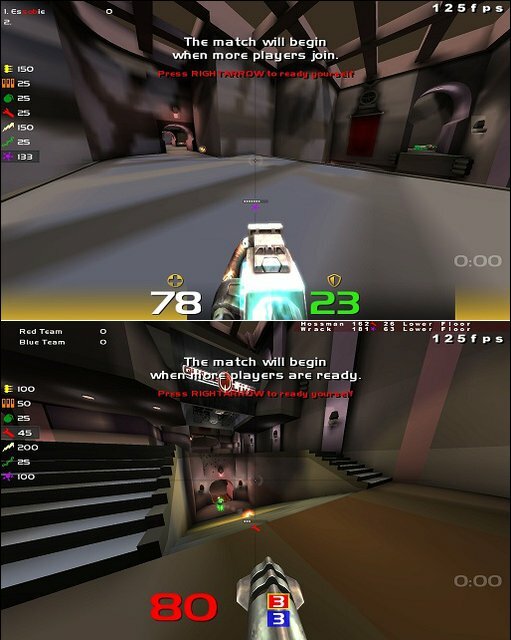 Some code cleanup and the inclusion of Freeze Tag support so that it doesnt show both CA and Non-CA HUD elements in new gametypes. Description: Minimalist, mishmash of injx and Raz3r and my own stuff. Optional crosshair and Ammo Counter. Playing Clan Arena now removes the health/armor bars and changes the way the health value is displayed (size and color are altered as the digits count down to zero). 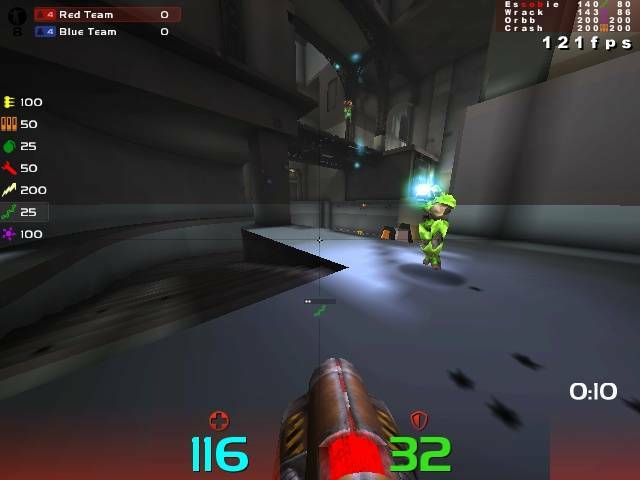 Also includes the previous HUDs CA Surviving Player element as well. Description: Minimalist, mishmash of injx and Raz3r and my own stuff. 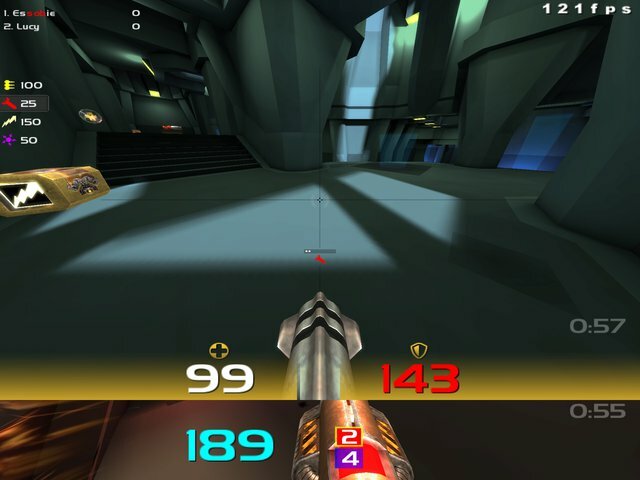 Optional crosshair, Ammo Counter, and surviving player element for Clan Arena. Description: Minimalist, mishmash of injx and Raz3r and my own stuff. Optional crosshair and ammo counter.